This portrait was acquired from the Julius Böhler gallery in Berlin in December 1928 as a work by Giulio Romano. The sitter was tentatively identified at that date as Lorenzo de’Medici and the panel had previously been in a private UK collection. At the time of purchase the painting was accompanied by reports by Georg Gronau, Hermann Voss and Wilhelm Bode. The panel was exhibited as a portrait of Lorenzo in the exhibition at the Neue Pinakothek in 1930 and as a member of the Medici family, possibly Lorenzo, in the 1937 and 1958 catalogues of the Collection. 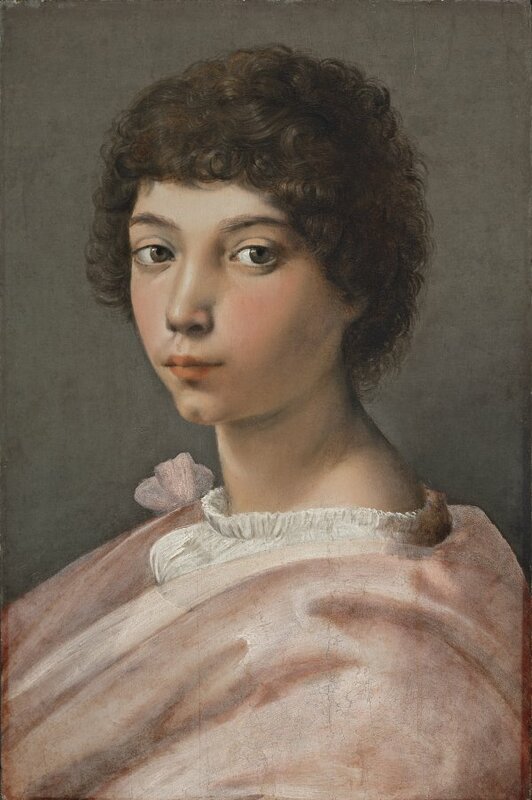 The attribution to Raphael was made by Suida, who published the painting in 1930 as an original by that artist in an article on Italian portraits in the Rohoncz collection. This attribution was accepted by Hendy and by Heinemann who also assigned the portrait to Raphael. This attribution was retained in the various catalogues of the collection from 1964. With regard to the sitter, J. Q. van Regteren Altena suggested that it might be Alessandro de’Medici, future Duke of Florence, a suggestion that was published in the catalogue of the exhibition of works from the Collection held at the Folkwang Museum, Essen. The panel, which was associated with Giulio Romano for many years, has been compared with a group of works from Raphael’s final years in which the degree of intervention by Giulio, Raphael’s closest pupil and follower, has been the subject of debate, as has the possible intervention of other members of the studio. This group includes Portrait of a Woman in the Fine Arts Museum in Strasbourg, in which the hand of Giulio Romano and also that of Giovan Francesco Penni has been recognised. A technical study undertaken some years ago revealed that important areas in the Strasbourg painting, such as the hands, sleeve and chemise, were added after the initial phase of painting. The present portrait, which is of extremely high quality, has a background of grey tones against which the bust of this young man stands out, presented with his body in profile and a striking turn of the neck and head that allows his face to be seen almost frontally. The colour harmonies and contrasts created by the white shirt, the pale pink cloak and pale clear tones of the flesh are extremely beautiful. This type of construction, in which a figure in profile turns its head frontally, was used by Raphael in his Vatican frescoes. 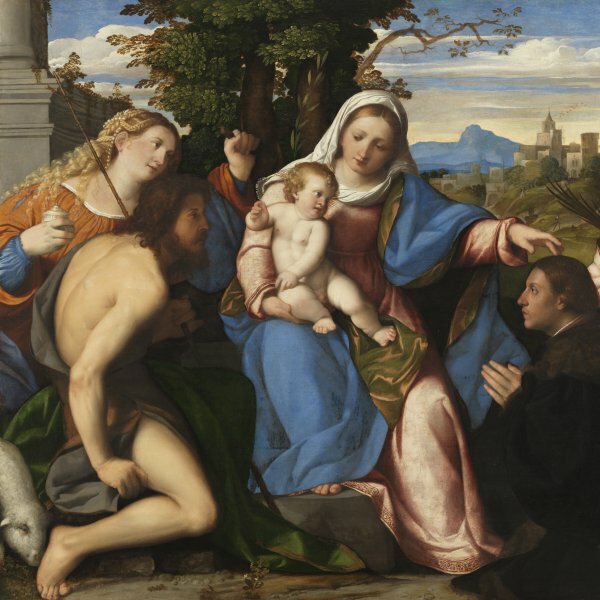 In a detailed analysis of this painting within the context of Raphael’s final years, Mauro Natale attributed it to Raphael working with one of his assistants. Portrait of a Young Woman Known as "La Bella"